As mentioned in previous posts, I focused on implementing the inventor mode. 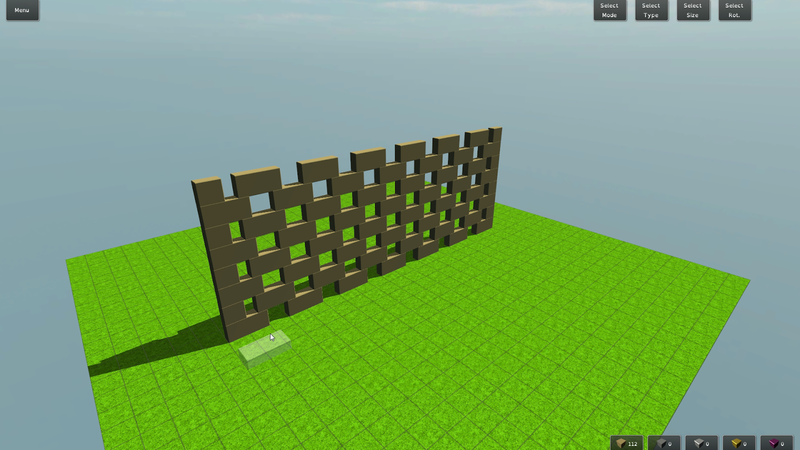 The inventor mode is a very important part of the game because without it, many things take very long to build. That can be very exhausting and may also be a disadvantage in multiplayer games as speed is an important factor in winning a game there. The inventor mode enables you to create you own invention out of bricks which you can place in singleplayer-, multiplayer- and sandbox-games like any other block. With that the game turns into a strategy game where you can decide which buildings or weapons you can use. Invent a new, more efficient weapon or more powerful defences - the better your ideas, the better are your chances in winning a multiplayer game (or mastering a challenge in singleplayer). Although you can already build many different things in the inventor mode, there will be much more possibilities in the future when more special blocks are implemented in the game (currently there are only the TNT-block and the bomb). Hope you like it, tell me which feature you'd want to see in future updates.